The Energy and Mineral Resources Ministry has stressed that it will not cancel its policy on the domestic market obligation (DMO) for coal, as the government wants to ensure supply of the commodity to meet domestic demand. “It is unlikely that the domestic market policy on coal sales will be revoked because of the domestic need of the commodity,” the ministry’s mineral and coal director general, Bambang Gatot Ariyono, said in Jakarta on Monday as reported by kontan.co.id. Previously, Coordinating Maritime Affairs Minister Luhut Pandjaitan had announced that the government would revoke the DMO policy. “The point is that we will revoke the DMO policy. If we sell [the commodity] now, the price is good,” he said on Friday. 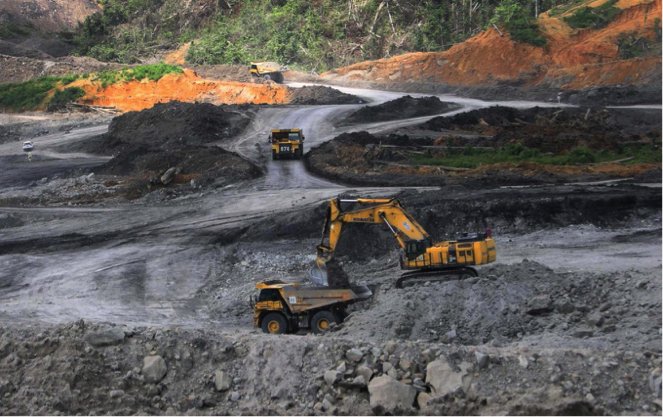 The DMO policy requires coal mining firms to sell at least 25 percent of their production in the domestic market and to cap the selling price at US$70 per ton for state-owned electricity firm PLN’s coal-fired power plants. According to the Energy and Mineral Resources Ministry, the average coal price increased to US$104 in July, compared to $97 percent in June. President Joko “Jokowi” Widodo planned to chair a limited Cabinet meeting on Tuesday to discuss the issue, but Bambang stressed that, so far, the government had no plans to revoke the policy. Meanwhile, Deputy Energy and Mineral Resources Minister Arcandra Tahar clarified that the government had not revoked the policy but would cancel the price cap and replace it with another formula.